“First time the Government of Nepal has allocated the budget giving the priority to the workers. Aiming to make prosperous Nepal, happy Nepali , goventment has developed the poliy to create jobs within country” said Cde. 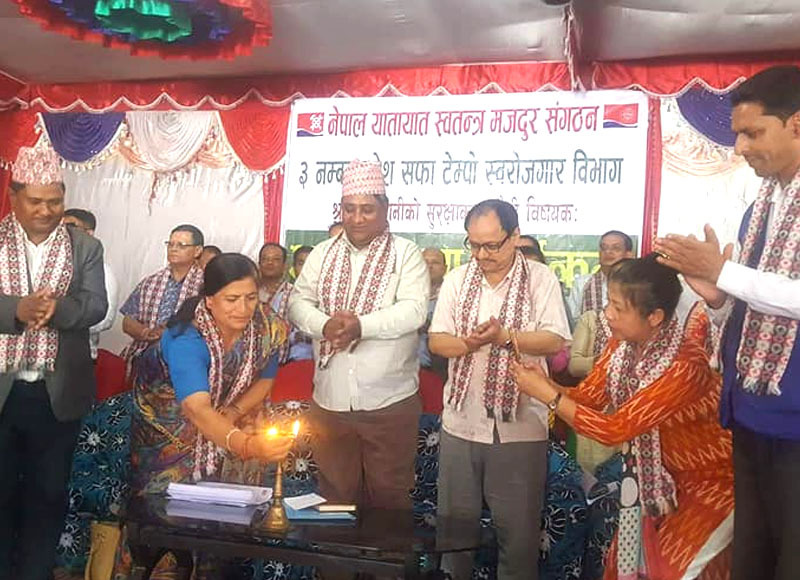 Bina Shrestha, the Member of Parliament inaugurating the Interactiob organised by ITWAN Province no 3 Safa Tempo self-employed department . Cde. Shrestha said, now the workers have the accessed in all three level of Governemtn structre so we can raise the workers issue in all level . Expressing her happiness in increased the woman driver in the sector ,Cde. Bina requested union to bring the workers issue to raise in the Parliament . On the occasion, GEFONT vice president Cde. Bidur Karki said, there are still some problems due to the unclarity in Policy ,Management and Implimentation level .Cde. Karki said, the issue raised in this programme –will be raised in parliament in future . The member of Provincial Assembly of Province No. 3 Cde. Sita Lama ,ITWAN vice President Cde. Thakur Shrestha and ITWAN General secretary Cde. Navaraj Ghimire also addressed the programme.